What Are Interest Rates and How Are They Determined? When we talk about interest, we’re talking about the additional money owed when a sum is borrowed. If you put money in a savings account or CD, you’ve given your bank a loan in the sense that they have your money to invest and turn a profit on until you withdraw it. Therefore, they pay you interest (sadly, these days, on a regular checking or even savings account, often not a lot.) When you borrow money, you’re the one who will owe interest as well as the principal. The Federal Reserve’s mission is to keep the nation’s financial system stable. To accomplish this, it’s empowered to raise or lower short-term interest rates. When the economy is generally looking good, with profitable businesses, low unemployment, and healthy consumer spending, raising short-term rates keeps the economy from growing too fast and causing too much inflation. Inflation occurs when money is plentiful compared to the supply of goods and services it can purchase. The relative shortage of goods and services drives prices upward. If the economy is faltering, the Fed lowers short-term interest rates to make it less expensive to borrow money. When this happens, demand for goods and services increases because people can afford to buy more. This bolsters employment and prevents a recession. When the Fed raises or lowers rates, what it’s actually doing is raising or lowering the rate lending institutions can charge one another for borrowing money. But as you’d expect, any increase or decrease in cost that a lending institution experiences will be reflected in how much it charges you, the customer. After leaving interest rates unchanged for quite a while, the Federal Reserve has already raised them three times in 2018 due to concerns about inflation. The Fed has also released its economic projections through 2021. Based on what they predict considered in relation to their mission, we will likely see periodic rate increases for a while. Look for one more increase this year, three in 2019, and one in 2020. Not everyone thinks raising interest rates in the current economic climate is a great idea. Some analysts feel that, with the low employment rate and jobs being added every month, the economy is in good shape and doesn’t need to be reined in to fight inflation. President Trump has suggested the Fed must have “gone crazy” to take the actions that it has, but as of now, it doesn’t appear likely that his dissenting opinion or anyone else’s is likely to change the Board’s approach to fiscal policy. A mortgage is one type of loan. The lending institution is loaning you the money you need to buy your home. Thus it’s inevitable that changes in overall interest rates produce changes in mortgage rates. Accordingly, mortgage rates have been rising through 2018. At the moment, the rate for a 30-year fixed rate mortgage is the highest it’s been since 2011. There are various types of mortgages, and not all are equally affected by changes in interest rates. People who already have a fixed rate mortgage probably will not feel any impact from the most recent hike. But changes in interest rates are more likely to impact people who have an adjustable rate mortgage (ARM) or a Home Equity Line of Credit (HELOC.) If interest rates increase, their monthly payments will go up. That’s because these types of loans are indexed to short-term interest rates, the very thing that the Fed has tinkered with. Some individuals have a hybrid adjustable rate mortgage. This is mortgage that blends features of a fixed rate mortgage and an adjustable rate mortgage. The mortgage starts out with a fixed rate period and then moves into an adjustable rate period. Homeowners with a hybrid adjustable rate mortgage purchased four or five years will soon see that mortgage move into its adjustable period. Given recent increases in interest rates and mortgage rates, the hybrid ARM’s rate will likely increase, perhaps by as much as a couple percentage points. To forestall this, the borrower may want to refinance. As interest rates and mortgage rates increase, home prices increase. Our common-sense expectation would be that home sales and home starts would then decrease, and to a significant degree, the data bear that expectation out. Since 1990, there have been six periods of rising rates if we define such a period as one in which there was at least a 1 percent increase from trough to peak. In almost all cases, FreddieMac found that these increases were associated with reductions in mortgage originations, home sales, and house starts. But today, predicting when rising mortgage rates will hurt the housing market may be more complicated than just that. Other factors may figure in to the equation. For example, some analysts think that over time, high employment and the interest of many millennials in home ownership will help to make the real estate market relatively healthy. The National Association of Realtors calculates the NAR Housing Affordability Index to assess the strength of the real estate market by looking at whether the typical family can qualify for a mortgage. The Index indicates that in the first quarter of 2018, the average family (one with an annual income of $74,799) earned 157.7 percent of the money necessary to qualify for a mortgage for a median-price home (one that sells for $245,500.) So that calculation too provides reason for optimism. On the negative side, however, some experts expect the recent Federal tax bill, which capped the deductibility of mortgage interest and high state and local taxes in coastal regions of the US to negatively impact house sales. 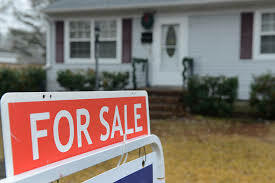 Robert Frick, corporate economist for Navy Federal Credit Union, believes that over the course of the next several years, low inventory, labor shortages, zoning restrictions, and high material costs are apt to have a considerable effect (unfortunately, a deleterious one) on home sales. Ultimately, with all that said and all these complexities considered, we come back to the truth that interest rates, mortgage rates, and inflation have been on the rise (August’s inflation was the highest since 2008), and home sales have softened during the same period. The National Association of Realtors found that home sales were down for five of the first six months of 2018 as compared to the same months in 2017. In summary, it’s fair to characterized today’s housing market as one of rising mortgage rates and diminished demand. Paradoxically, perhaps, home valuation is rising as well, conceivably partly as a result of low inventory. This means that potential homebuyers don’t get a break on basic price, either. Interest Rates, the Housing Market, and You: Is Now the Time to Buy? If you’re considering buying a home, how do you process all this information? Does it mean you should abandon your plans until interest rates come down again? Realtors tend to see two kinds of clients during periods like this. The first sort are eager to buy fast and lock in a rate before mortgages become even more expensive (as we know that in the current cycle, they probably will.) The second type are people so put off by the fact that rates have risen that they conclude any home purchase would be a bad deal. Both these types of people may have an oversimplified view of their situations. If you’re contemplating buying a home, you should indeed be mindful of mortgage rates, but you should be thinking about a number of other factors, too. Evaluating the tax implications of the purchase, how difficult it will be for you to keep up with the payments, the expenses you’re likely to incur in the relatively near future, and the length of time you expect to stay in the house (generally this should be at least five to seven years) will help you make a sound decision.